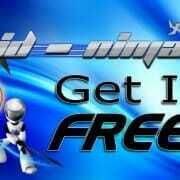 Get One Month of Unrestricted Use of Bid-Ninja Free! 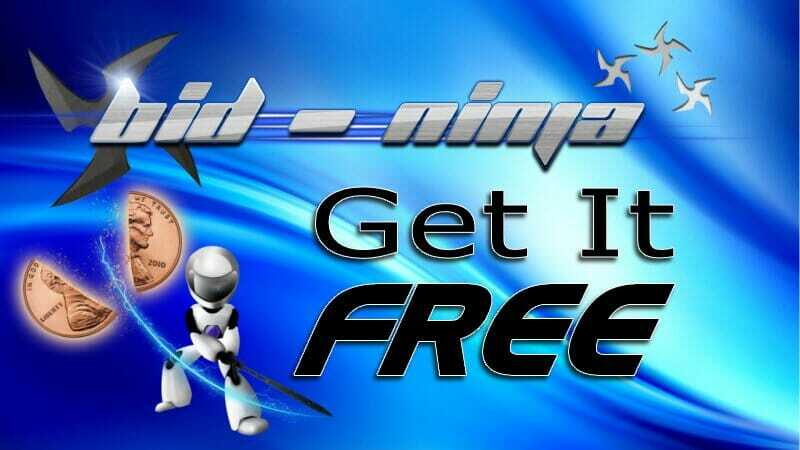 Want to get yourself one totally free month of use of the Bid-Ninja software, with absolutely no restrictions (IE – you get the full unrestricted version that paid users get)? We’ll we’re offering just that! We’re asking anybody that has used our software, whether it be as a paid user, a free trial user or even just having used the totally free limited version to post an honest & real review of our software somewhere on the web and then email us a link to their review at: support@bid-ninja.com with the subject line “Posted Review”. In exchange for your posted review, we’ll give you 1 WEEK of free use of our software on any of the 3 sites we support (your choice). The person who posts the BEST & MOST THOROUGH review will be given 1 totally free month of use of our software ON ALL THREE SITES we support (that includes the Analytics & the AutoBidder). We will be posting these reviews on our website! https://bid-ninja.com/wp-content/uploads/2017/08/bn_logo300x50-300x50.png 0 0 Bid-Ninja https://bid-ninja.com/wp-content/uploads/2017/08/bn_logo300x50-300x50.png Bid-Ninja2014-10-10 21:29:292016-11-29 12:23:29Get One Month of Unrestricted Use of Bid-Ninja Free! 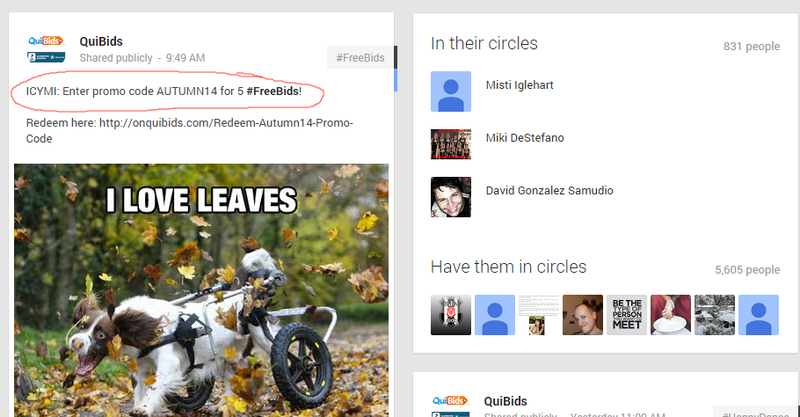 Quibids released TWO promo codes today, each one allowing you to get 5 free bids. You can use both codes, one right after the other, to get yourself a total of 10 totally free bids on QuiBids! The only stipulation is that you must have, at some point in the past, purchased at least one bid pack. In addition to that, if you are on our mailing list, we’ve just given EVERY SINGLE USER who has EVER signed up for our mailing list 100% totally free access to EVERY BID-NINJA PRODUCT for the next 24 hours!! You can sign up for our mailing list so you’re notified of these promotions in the future by using the signup form to the right. Your Direct Line of Communication to the Owners, Developers & Staff at Bid-Ninja.com is Here! We want to make absolutely sure that every user has an excellent experience using Bid-Ninja. The thing is that we know that when you’re playing in an auction, that it isn’t always possible to “step away from the action” to report a problem…which means that some problems either go unreported, or reported later after relevant information has been forgotten. So what we’ve done to make sure that any & all wrinkles (if any) are ironed out, is incorporated this new “trouble report” button within the Bid-Ninja software. It allows you to report a problem without even having to leave the auction you’re playing in! In addition, it provides to us the valuable information we need about the auction you’re in, like a link to it, your browser type, your username and so on. https://www.bid-ninja.com/wp-content/uploads/2014/09/trouble-report-feature.jpg 523 1044 Bid-Ninja https://bid-ninja.com/wp-content/uploads/2017/08/bn_logo300x50-300x50.png Bid-Ninja2014-09-08 18:14:542014-09-08 18:34:58Your Direct Line of Communication to the Owners, Developers & Staff at Bid-Ninja.com is Here! 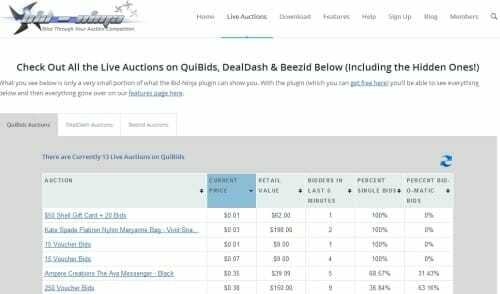 We’re very excited to announce that you can now see all the live QuiBids, DealDash & Beezid auctions right here on the Bid-Ninja website. You don’t have to log in or even be a member…this info is for anybody and everybody! In addition to being able to see all the live auctions for those three sites (including the hidden auctions), we’re also listing them with basic information, such as retail value, the number of bidders, last price of a win and more. See for yourself right here on our live auctions page. We’ve added this page and the ability to do this in our move towards listing even more information right on the Bid-Ninja site. Soon you’ll be able to search bidder statistics, view very specific auction information and more without even having to log in. Of course, the best information (the kind that gives our Bid-Ninja’s the best advantage on QuiBids and the other sites we support) will only be available to our subscribers. Keep an eye out, this is only phase 1 of what’s going to be a very exciting change to the Bid-Ninja site and software! We sincerely apologize for all of the outage over the past few days. From the DDoS (when a website is intentionally sent thousands of queries, for the exclusive purpose of taking the website offline) to QuiBids adding code to their website that removes Bid-Ninja from view if you’re using it. We have resolved all of these, but for you to continue using Bid-Ninja, YOU MUST BE USING the latest version of the CHROME or FireFox browser plugins. Visit our installation instructions page here to get the latest version of the Chrome and/or FireFox browser plugin. On the upside, QuiBids themselves have proved to the world just how effective our software is…they added the code to their website to try and prevent you from being able to make educated, intelligent & strategic decisions about when/how/who to bid and/or bid against. We understand that there are people who are very new to QuiBids and may just be testing out the waters or trying to work out some strategies. While we offer a 100% completely free trial of the fully unlocked version of Bid-Ninja for QuiBids here, it only lasts for 24 hours…and that may not be enough time for you to work out your stategy(ies). So what we’ve done, is rolled out a completely free version of Bid-Ninja that you can use forever without spending a dime. In fact, you don’t even need a set of login details. The version that we’ve rolled out for free is limited in what it shows you. So you won’t get the full QuiBids analytics offered in the paid version or the “unlocked” free trial version, but you will get enough information that will still give you an advantage and enough information to at least form more effective strategies. To use this new free version of Bid-Ninja, all you have to do is install Bid-Ninja and browse to any QuiBids auction….that’s it! You won’t be asked to sign up, you won’t be asked to login and you won’t be asked to pay for anything. You simply will be shown information about the auction you’re viewing and the bidders playing in it. We want people to see what they’ve been missing and just how helpful Bid-Ninja really is. We’re also going to be adding a TON of new features over the course of the coming weeks and we think that it’s important people can see just what innovative information & features that can be had with the Bid-Ninja QuiBids software that cannot be found anywhere else. So go ahead, download Bid-Ninja and start slicing through your competition today! 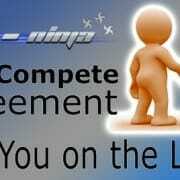 The Bid-Ninja Non-Compete Agreement – Are You on the List? We here at the offices of Bid-Ninja frequently roll out new updates to the Bid-Ninja software. 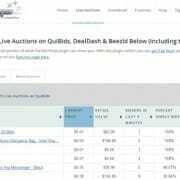 We do this so often in fact, that we’re almost constantly having to actually use our software “in real time” on real QuiBids auctions, DealDash auctions and Beezid auctions. Sometimes we only have to place a bid or two, but sometimes we have to actually “play to win” to ensure our software is working as it is supposed to. Other times we won’t actually be in front of our computers, but have rather just setup the Bid-Ninja AutoBidder to place a few hundred bids on an auction with specific parameters. We appreciate our customers, and we want to make sure that we don’t accidentally screw up your strategy (and more importantly, we don’t want to be playing against our customers). So what we’ve done is setup a “Non-Compete” function within your member profile. 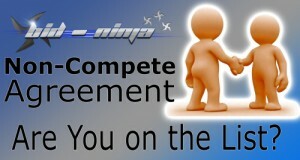 To add yourself to the Bid-Ninja Non-Compete list, all you have to do is open up your Member Profile here. Just enter your usernames (or just the ones of the sites you play on) within those fields and click the “update” button. If you’re a Bid-Ninja customer and you’ve entered that information on your profile, when we’re BETA testing new feature rollouts (or just playing for fun), we’ll always make sure that we’re not playing against you, our valued customer! So go ahead and get yourself on the list and then sign up to be a full fledged Bid-Ninja (if you’re not already)! https://www.bid-ninja.com/wp-content/uploads/2014/04/non-compete-agreement.jpg 268 500 Bid-Ninja https://bid-ninja.com/wp-content/uploads/2017/08/bn_logo300x50-300x50.png Bid-Ninja2014-04-02 21:32:132014-04-02 21:32:27The Bid-Ninja Non-Compete Agreement - Are You on the List? There are now “question marks” within the Bid-Ninja interface, and by hovering your mouse over them, you’ll get a detailed explanation of the information the question is above. For example, in the picture abovethat shows part of the Bid-Ninja interface, we’ve hovered our mouse over the “padlock” icon question mark…have a look at what happens. All you have to do is install Bid-Ninja and then browse to any QuiBids, DealDash or Beezid auction and you’ll see the Bid-Ninja interface appear. Login, and you’ll see the latest newly added feature and you can try it out yourself! This is literally just the first of many new features Bid-Ninja will be releasing over the course of the coming weeks. You can make sure you know about all the new features as they come out by checking out the Bid-Ninja blog here. 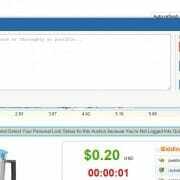 Is QuiBids Software Helpful? Can it Really Help Win More Auctions? Winning an auction on penny sites such as QuiBids comes down to statistics…and of course using the right tools. Using the auction site without using resources such as QuiBids software is a lot like trying to build a house without a hammer or nails. Of course you might be able to build the house in the end, but you are going to have a much harder time doing it and go through a lot of frustration in the process. Using the right QuiBids software can give you an advantage over other users by giving you information and statistics not widely available. While most bidders are going into an auction blind with no prior knowledge of auction trends, you will be prepared with information about the item and past bids to make informed decisions and confidently dedicate each bid. 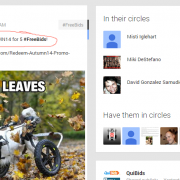 One of the best QuiBids software on the market offering this potential is Bid Ninja. Bid Ninja is a highly recommended type of QuiBids software on the market because of the 3-core capabilities that it offers you in comparison to other software available. The first capability is that Bid Ninja analyzes QuiBids auctions 24-hours a day and watches for data trends that could benefit you during bidding. Some of the information it collects includes recent winning bids for certain items, auctions that are currently open, and other users who are bidding on the item as well as their bidding trends. 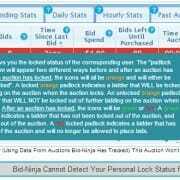 All of this information can be viewed using Bid Ninja’s Analytics that shows you real-time auction information. Another great resource that Bid Ninja offers is the ability to automatically make bids using their Autobidder system. You can set Bid Ninja Autobidder with certain parameters and guidelines to follow based on your research or budget, then Bid Ninja will take care of the rest. Setting up certain parameters is easy to do and will let you use your bids based on how many users are left in the auction and the total price of the item. For instance, if you want to save your bids until a price has reached $3, you can set that information in the software and your first bid will be applied when that total price has been reached. This QuiBids software feature makes it so you aren’t glued to your computer all day, and you can go about your life without spending hours on an auction. The third and final feature of Bid Ninja is that it allows you to search for and monitor multiple auctions that may not be easy to find from QuiBids main page. Some auctions are hidden so that more veteran bidders don’t have to indefinitely compete against newer bidders joining the site. From this pane, you can monitor every item you might be interested in purchasing as well as those that you are currently bidding on. Consider the Bid Ninja Auction Tracker your bidding command center where you can get all the information you need to develop your plan of attack and increase your odds of winning.You can choose to be like everyone else and go into every auction with desire to win, or you can make it a reality by giving yourself the right tools to win. 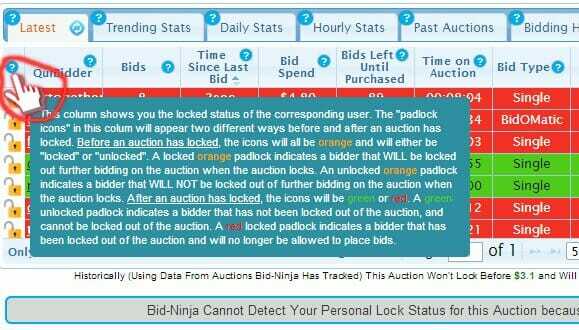 Bid Ninja’s analytics, Autobidder, and Auction Tracker gives you essential information every user should have before an auction. Information like this can help you to avoid wasting your time and bids at the start of an auction like some of the more novice users. Bid Ninja has three price tiers starting at $59.99 a month for the three tools and can be purchased at their website. If you consider the amount of money that you could potentially throw away not using these services, Bid Ninja seems like a bargain. https://bid-ninja.com/wp-content/uploads/2017/08/bn_logo300x50-300x50.png 0 0 Bid-Ninja https://bid-ninja.com/wp-content/uploads/2017/08/bn_logo300x50-300x50.png Bid-Ninja2014-03-13 19:06:432014-03-13 21:11:33Is QuiBids Software Helpful? Can it Really Help Win More Auctions? We apologize for the temporary inconvenience if you were having trouble using Bid-Ninja during our small outage period. If you’re still experiencing trouble using/loading Bid-Ninja, please clear your browsers cache, close out your browser and reopen it and you’ll see everything is working normally now. We had a temporary outage of service due to our Amazon server going down and us having to point our nameservers to a newly started Amazon Cloud instance.